Iraqi Prime Minister says his country's position on the US' unilateral sanctions against the Iranian people, is the same as the position of the European Union, Russia, China and Japan and would not be part of the sanctions system. 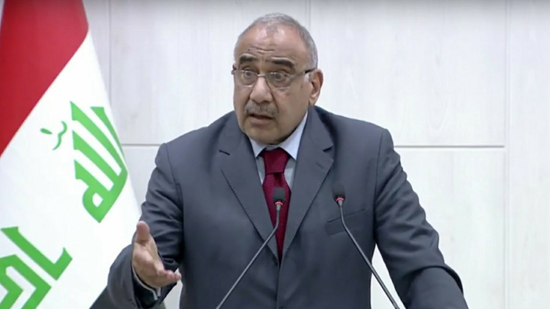 Adil Abdul-Mahdi made the remarks at a news conference on Tuesday evening after a meeting of the Council of Ministers when asked about Iraq's position on the US' restoration of anti-Iranian sanctions given the large volume of trade exchanges between the two countries and whether Baghdad will take any action on exclusion of the sanctions. Abdul-Mahdi noted the delegations are working to achieve the same formula as declared in my government's charter, in the sense that Iraq will not be part of the sanctions system, as it is not part of the aggression system of any country. The Iraqi prime minister emphasized that based on the formula, his country would consider its own interests while considering interests of others, and if the United States made a decision, it would have to implement it through its own means and not through other countries.